March 12, 2015 By Tina M 4 Comments This post may contain affiliate links. Read my disclosure policy here. I currently have a toddler and a preschooler, so life is busy all day long at our house. I’m going to share one thing that has brought me sanity as a mother. Have a Well-Stocked Closet Full of Kid’s Craft Supplies & Activities! Other days I delight in my kid’s craft closets (let’s be honest, I have multiple), because I want a boredom buster that we can all do together. There is still that little kid in me that likes to do artsy things alongside my kids, but Pleeaassee don’t make me color again! I need variety. And variety we have! P.S. This is not a sales pitch, I would say this to you if you are my very best friend: I get EVERYTHING on Amazon, and highly recommend you get a Prime account if you don’t already have one. If you are a mom, it is a no-brainer. It’s like having a free errand runner. If you need some advice on the best way to take advantage of a Prime account, please message me! I am so passionate about the amount of time and money that Amazon Prime has saved me. Get the free trial if you haven’t already. And I’m serious, you can totally message me and I will tell you how to get those very most of those 30 days. You will never go back. Elmer’s Glue. Trust me when I say your kids need this. Not just for gluing things. That’s at the bottom of the activity totem pole. 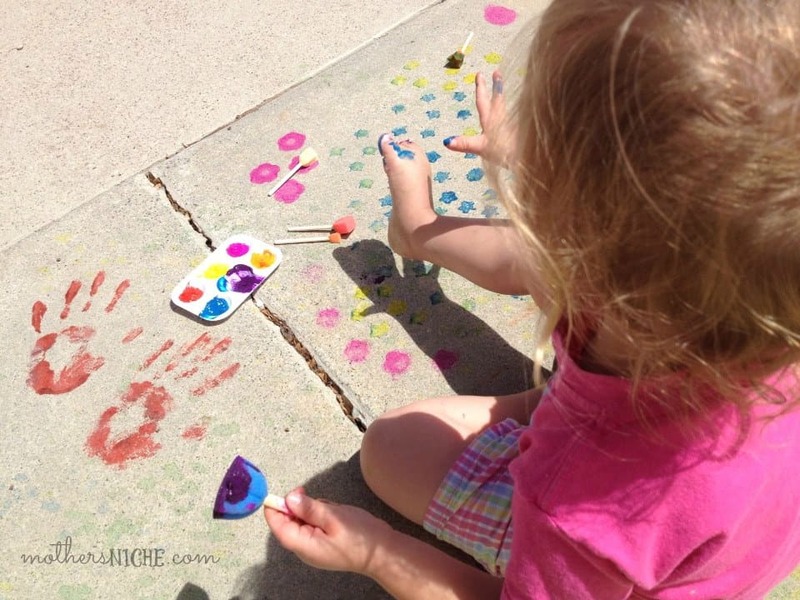 You can use Elmer’s glue for all sorts of activities (including homemade slime). I consider owning glue in all its varieties: regular, clear, and glitter. Water Beads. Oh my heck. These are so fun. Even for me. I might even get a therapeutic feeling from playing with them. You can get about 15,000 of them for less than $15 so this is a CHEAP activity! Just supervise on this one so the kids don’t try to eat them or stick them up their noses (both have happened at our house). 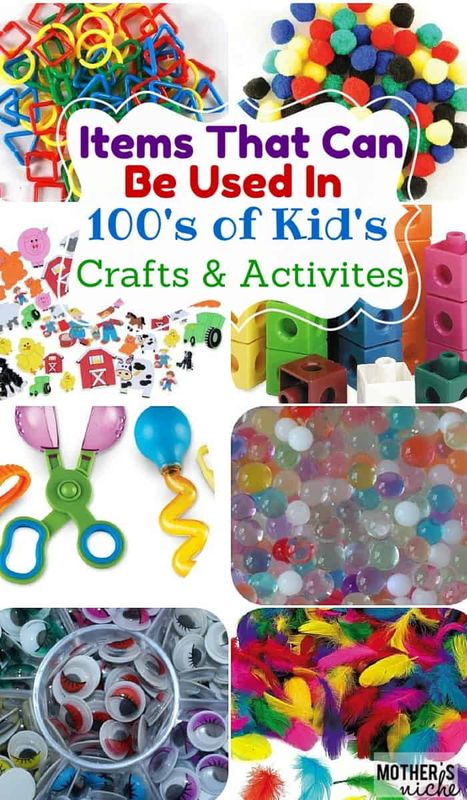 More info on fun things you can do with them here: Water Beads Fun! Sand. Another great item to fill sensory bins with. Insta-SNOW. Yes. please. Especially if it’s a weird winter and it should be snowing, but isn’t. Kids love this stuff. Sensory Trays, Bins or Tables. Any or all of these will work. I like having a sensory table for outside, and bins for inside. Kid’s Garden Tool Set. These are great for using in sensory bins, or for playing outside in the dirt or the sand. 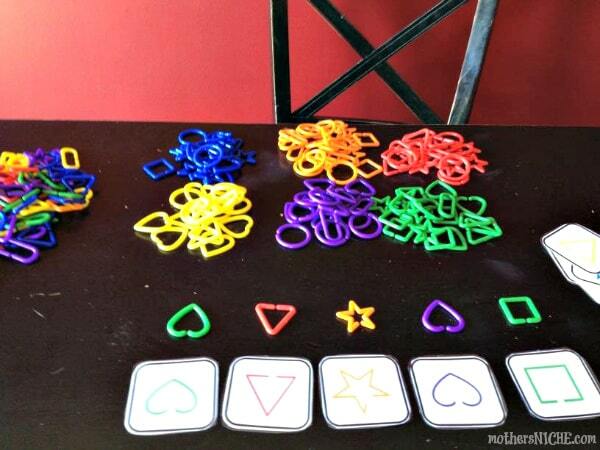 Learning Resources Fine Motor Tool Set. We use these for lots of different things and they are great for learning different fine motor skills. Toob Toys. My kids LOVE getting these in all varieties. They are probably one of our most used toys in our sensory bins. You can get people, animals, insects–You name it! They got it. We also use our Sea Life Creatures in sensory activities. Wiggly Googly Eyes. These can be used for almost anything, so it’s at the top of my list. My question for you is, what CAN’T you add googly eyes to?! I recommend getting the kind I linked to because it comes with a fun variety (eyelashes? Yes!). These are also fun to sneak into the kid’s lunches (what kid wouldn’t get a kick out of eyeballs on their apple? Such a cheap way to make life fun). Feathers. technically this should be under sensory supplies as well. Like Googly eyes, kid’s also have imaginations that enable feathers to have a purpose in all craft projects. They belong on paper sack puppets, they belong on coloring pages, and they most certainly belong on capes and masks! Tempura Paint, Jumbo Paint Brushes, and palettes. I finally gave in and bought an entire like 15 bottles of paint and we have used it for so many fun things! Add in some fun sponge painters (here and here) and it’s a jolly good time with paint. 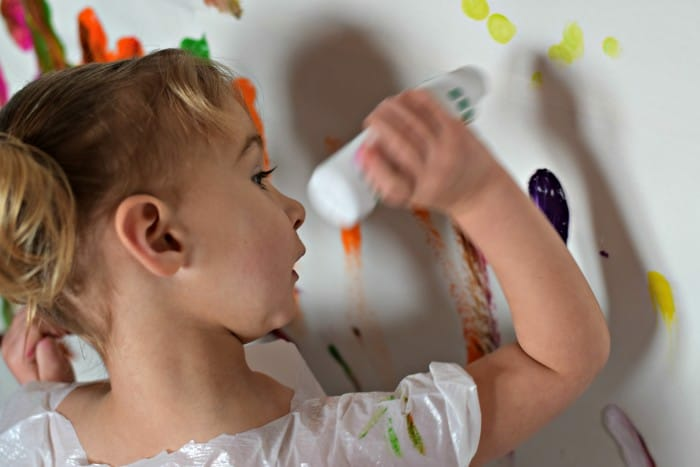 Our favorite activity was the wall murals, but we have also watered down the paint in squirt bottles to make fun sidewalk art, and we have used the sponge painters outside on the sidewalk as well. Easel Paper. This stuff is a must in our house because it allows us to projects of any kind. This is what we used for Wall Mural Painting, and it’s also great for doing life-sized tracings of the kids, or sending hugs in the mail. Foam Stickers. This is another thing we use for everything. We use them for coloring and art projects, we use them for tracing, we use them on cards and gifts, and I sometimes keep a few in the car and let them put them all over themselves when I am in a desperate moment 🙂 Foam stickers are also wonderful for categorizing by shape, color and categories. We have a huge tub of these filled with all different kinds and themes. Craft Body Parts. These are really fun for using with play dough, sand, slime, etc. It takes you activity to the next notch and allows kids to make little people/creatures with their creations! Play Dough. Whether or not you make your own is up to you, no one is going to judge. At least you know I won’t. Sometimes there is time for DIY and some days years there just isn’t. But what you NEED to do is use Play Dough Mat Printables with your play dough! They take play dough from that boring “why did I pull all this out so that it could be played with for 2 minutes” kind of activity, to a “wow my child is learning and playing and it’s lasting more than 15 minutes” kind of activity. I think you know what I mean. If you don’t, Please oh please check out this page where you can find all kinds of free play dough mat printables. Pipe Cleaners. There are lots of ideas (as well as printables) for using these in different kids activities. They are also great for keeping hidden in the car! They make no mess and they can entertain in those desperate moments when you need to stop a fight. Hand them some pipe cleaners and let their imaginations go wild. You could even tell them certain shapes and figures to create with them if you are feeling ambitious. 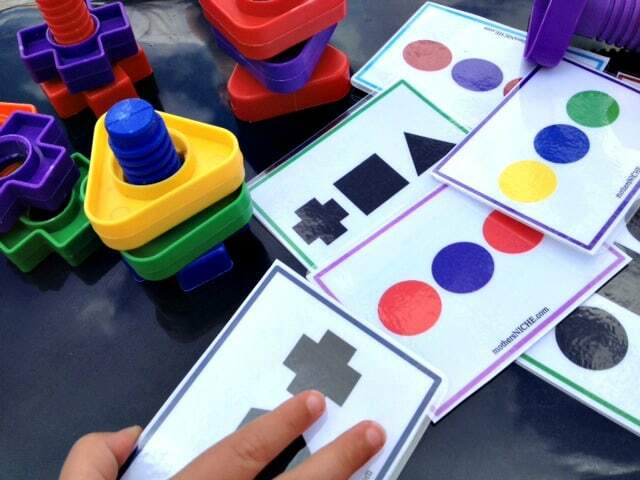 Linking Shapes: Great for color recognition, shape recognition, patterns and fine motor skill development! I have a free printable for these here and here. Snap Cubes: Great for shapes, counting, sorting, measuring, graphing, or just creative play (building stuff). Nuts & Bolts: Helps with matching skills, small motor, and hand-eye coordination. I have a free printable for these here. Is it after midnight already?! I’m not even close to finished with this post, so come back next week for part two! 🙂 I just love all of your fun ideas! Lol! Your ideas and tips for activities with the kids are great, but girl, your writing style rocks. I have had a yukky couple of days, and when I read this post, I smiled all the way through it. Thank you for that! I look forward to reading more of your posts! Haha thanks Sophie! That completely made my day! This is so helpful! My wishlist on Amazon just got infinitely longer. First up to buy, those beads!!!! Thanks!